The World of Wonders' one-of-a-kind Entertainment Experience brings a modern variety show together with a wild west revue in an unforgettable two-part family attraction. Audience participation is a part of both shows, making this two-shows-for-one-price package engaging for audiences both under the big top and out on your event grounds! World of Wonders Amazement Show features 10 astonishing illusions and jaw-dropping acts, including sword swallowers, fire eaters, trick ropers, contortionists, circus hula hoopers, snake charmers, a strongwoman, and more! Shows run 30 minutes, up to three times a day under our BIG TOP Circus Tent. 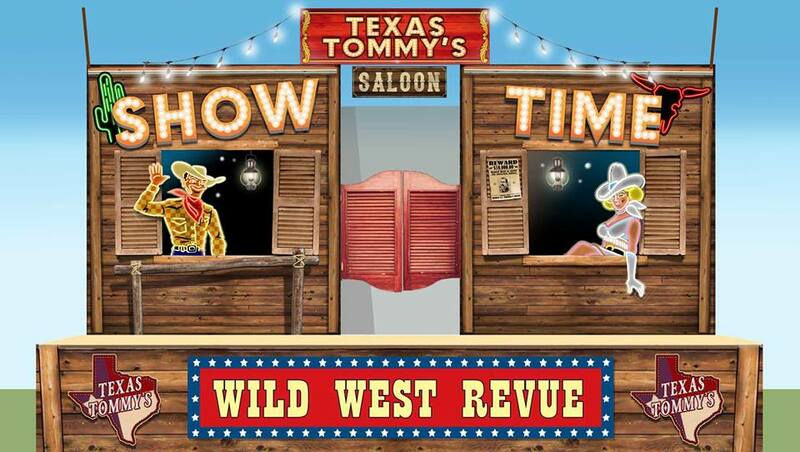 An outstanding demonstration of the Western Arts reminiscent of the Old West with the sparkle of Las Vegas! There are NO firearms or horseplay in this show... Just good old family fun!